Does this song remind you of loco? Discussion in 'The Lounge' started by Brian HCM#1, Oct 10, 2005. It is not nearly annoying or repeatative enough to remind me of Loco. Loco reminds me more of THIS! Doesn't mind me of Loco as much as killing crabs with fire and an ice pick. Ummm.......... I think that the doctor probably has some sort of powder for that. No need to be getting fire or ice picks that close to your junk. Did I say anything about my junk? You sicko pervert. I was thinking it was all your stupid posts that gave you the bad rap. Okay quit hitting on me. Its creeping me out. Did you go to the GABF? Yeah - my TR is over in Food & Beer. That and being from Texas is a lethal combination. 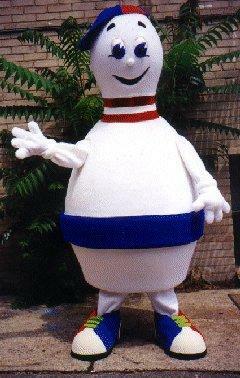 i associate loco's avatar with a bowling pin. don't ask why 'cause i don't know. it's always been that way. actually that might remind me of scaredshtles even more because of the shorts. what kind of person makes these things. it was kinda funny but absoulutley bizarre what the heck was going on!? I have *no* idea what you're talking about.